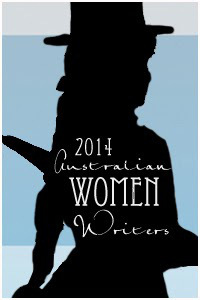 This entry was posted in Australian Women Writers Challenge 2014, Book reviews, Historians and tagged Maggie Mackellar. Bookmark the permalink. Oh yes, you are still doing it for the challenge! Completing the challenge doesn’t mean you have to stop. It just means you’ve overachieved! It would be good though if you marked your completion on the challenge site. I think I heard this author interviewed on Radio National some time ago. Such a sad story but it sounds like she’s written it with style. You are right that “memoir is a construction” – and it sounds like this memoir has an interesting one? Does she talk at all about why she took the approach she did? She talks about the inadequacy of a linear, chronological approach, but not specifically about why she has adopted this circular approach as a literary decision. I suspect that it reflects her own emotional frame of mind. She’s a good writer. Sounds like one I should think of. I must say I rather like it when authors of non-fiction discuss the approach they take – but it sounds like her comment is enough, alongside the evidence, to demonstrate why she did what she did. 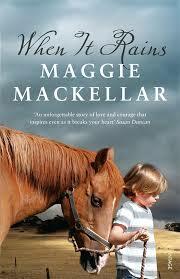 Mackellar has recently released a follow-up memoir – again beautifully written but not as powerful and evocative as this one. Resident Judge, your phrase ‘…spirals around her story…’ is wonderful and very apt. I loved When it Rains and it is definitely worthy of a place in the TBR pile.